Using some dollar store bowls, string, and gold spray paint, you can make some chic extra storage. Upgrade your kitchen, your office, anywhere! 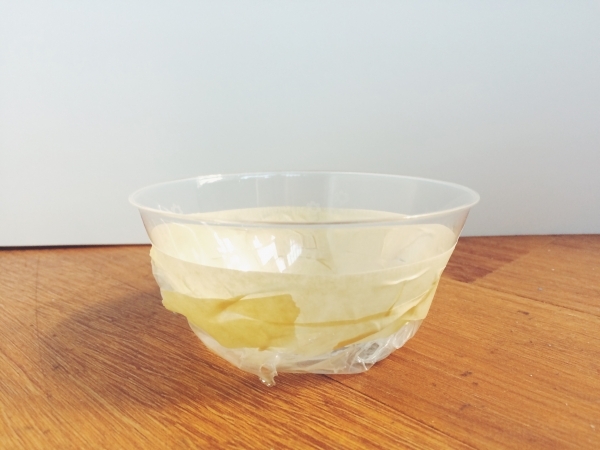 Carefully use the masking tape to create a ring around the edge of a bowl, also using scrap paper to cover any areas you don’t want sprayed. Repeat with each bowl. The width of the uncovered area can vary from bowl to bowl. In a well ventilated space, lay down a protective covering, something you don’t mind getting sprayed gold (newspaper, tarp, etc). Take your gold spray paint and shake it for roughly a minute, making sure you can hear the ball rattling around. 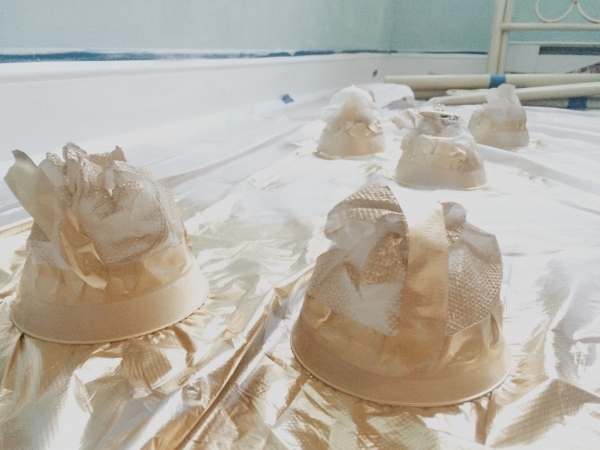 Then lay the bowls upside down on the protective covering. Spray the uncovered surface of the bowl gold, holding the can about a foot away and moving smoothly and evenly around the bowl. Repeat with remaining bowls. Allow to dry for an hour, then apply a second coat. 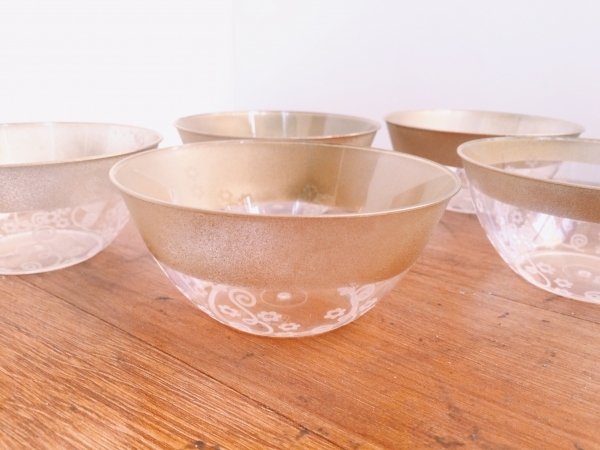 Carefully remove tape and scrap paper, revealing gold rimmed bowls! 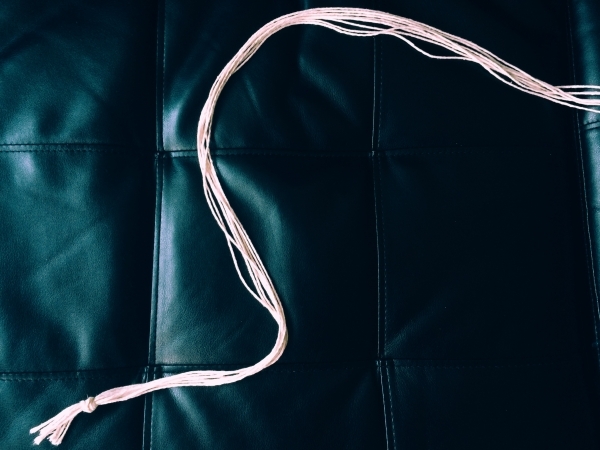 Cut eight lengths of string, each about three feet long. 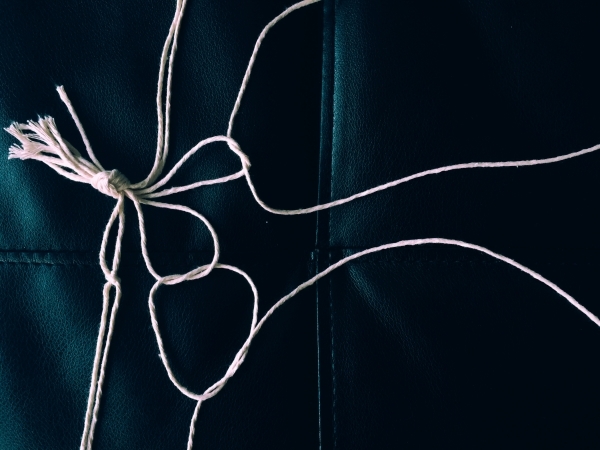 Tie all the strings into a knot, leaving a tail approximately two inches long. 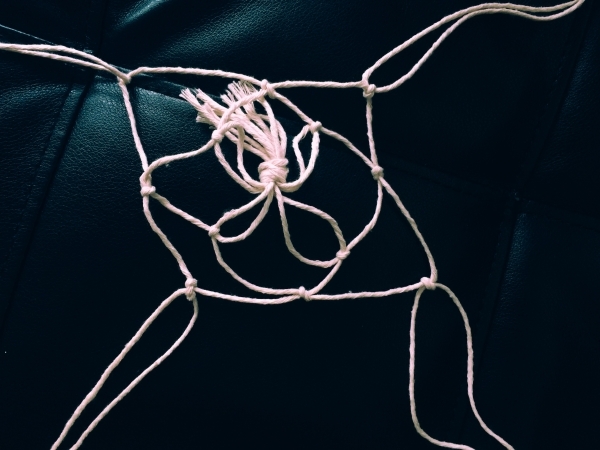 Separate the strings into four groups of two. Tie a square knot about an inch and a half away from the base knot in the first pair, repeat for the other three pairs. 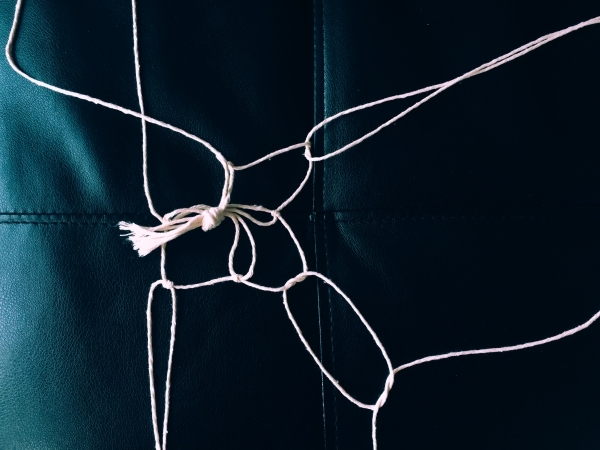 Taking the right string from one pair and the left string from the pair to the right of it, tie another square knot an inch and a half away from the knots previously tied. Repeat until all strings have been used. 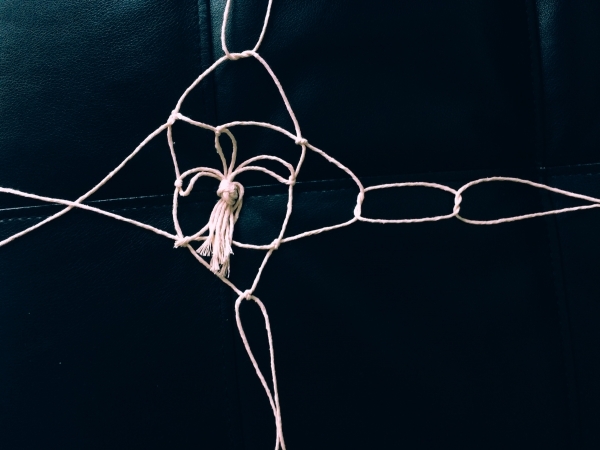 Just like the previous step, take the right string from one pair and the left string from the pair to the right of it and tie another square knot an inch and a half away from the knots tied in Step 8. Repeat until all strings have been used. Center the tassel on the bottom of the bowl and hold the strings coming off the basket so that the bowl is suspended from the strings with a tassel coming out of the bottom. 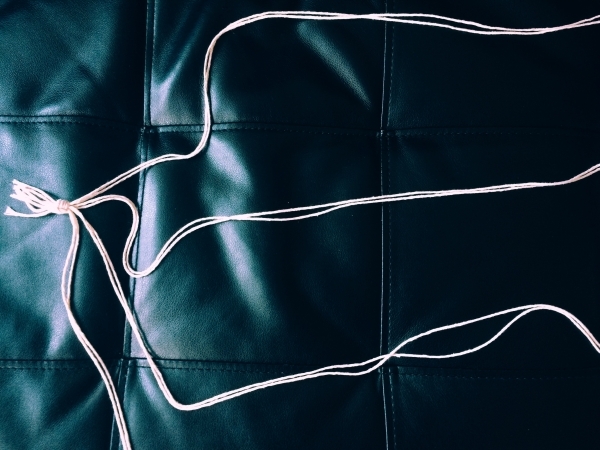 Tie a knot at the top of the strings so that the bowl is suspended at a height you like (this can vary). 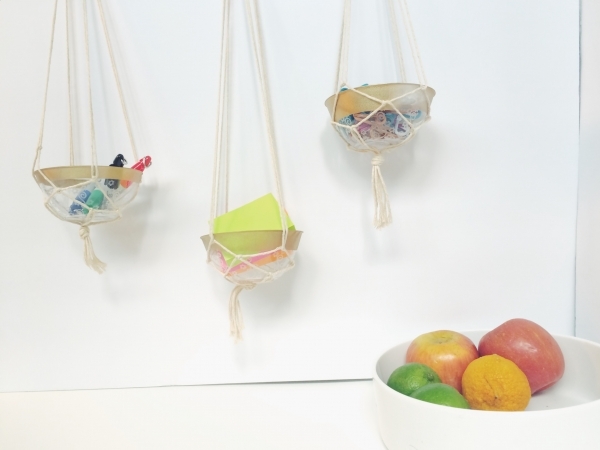 Hang the bowls from hooks, cutting away excess string. Fill with small necessaries (safety pins, post-it notes, pens, etc). Done! More Home Crafts, Home Decor?